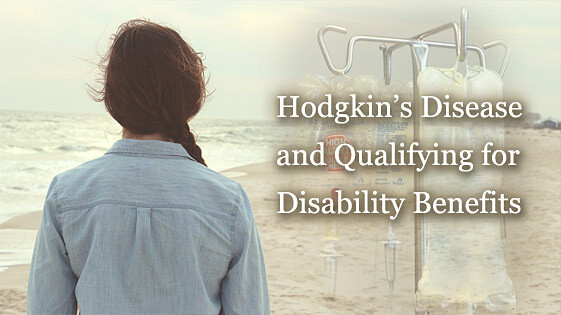 Can I get Social Security Disability for Hodgkin's Disease? Hodgkin’s disease, or Hodgkin’s lymphoma is a form of cancer. Cancer is a cellular disorder where a group of cells experiences out-of-control growth and damages the surrounding tissue. With Hodgkin’s lymphoma, this tissue is in the glands of the immune system. 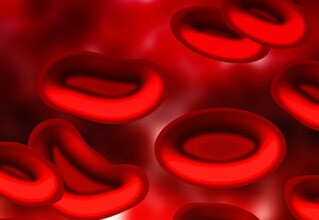 Because it effects the blood, Hodgkin’s spreads much more quickly than other types of cancer. Fortunately, it is one of the most curable types of cancer. A patient with Hodgkin’s lymphoma which is not cured, or reoccurs, a year after initial treatment is automatically eligible for benefits under the guidelines of the Social Security Administration’s Blue Book. Lymphoma effects white blood cells (lymphocytes). Hodgkin’s is distinguished from other forms of lymphoma because it creates a specific cell abnormality- an enlarged, multinucleated cell known as a Reed-Sternberg cell. Lymphocytes are supposed to produce antibodies to fight off infectious disease, but a Reed-Sternberg cell has limited capacity to produce antibodies. Thus, individuals with Hodgkin’s lymphoma are more susceptible to viral and bacterial diseases. Hodgkin’s lymphoma is frighteningly common, comprising 5% of all cancer diagnoses. Fortunately, the disorder is usually treatable, especially if diagnosed early. 80% of people diagnosed with Hodgkin lymphoma survive for ten or more years, and that rate increases to 97% for patients under age 20. However, even though most patients survive the cancer, both the symptoms and treatment can be extremely unpleasant and potentially disabling. Lymphoma is usually first detected by a swelling of the lymph nodes. In 80-90% of cases, lymphoma will cause the nodes in the neck and shoulders to swell. Other common symptoms include unexplained itchiness, night sweats and rapid weight loss. Hodgkin’s disease is easily identified with a biopsy due to the large Reed-Sternberg cells. These cells are large and mostly empty and create large gaps that are quickly identified under a microscope. Reed-Sternberg cells are also known as “popcorn” cells because of their expanded size. Chemotherapy and radiation therapy are common treatments for lymphoma. Dacarbazine, a drug that damages the cancer cells DNA and kills white blood cells. These drugs all target white blood cells and damage even non-cancerous cells. Because white blood cells are the immune system’s primary defense, chemotherapy makes the patient extremely vulnerable to infection. Flu-like symptoms, fatigue, easy bruising and hair loss are common while undergoing chemotherapy. Radiation therapy may also be used to treat lymphoma. Beams of radiation may be applied to the lymph nodes directly, or, more commonly, the patient will swallow a radioactive pill designed to destroy cancer cells in the bloodstream. Like chemotherapy, radiation therapy destroys non-cancerous cells and weakens the immune system. Additionally, if the lymphoma is treated with a bone marrow or stem cell transplant, the patient is considered disabled for a year following the transplant. Even if an applicant doesn’t meet these criteria, if their lymphoma prevents them from working, they may still be eligible for benefits. If you are applying for Long-Term Disability Insurance or Social Security Disability Insurance benefits, you should be aware that most initial claims are denied. The application and appeals process can be complicated and drawn-out. Having an experienced, knowledgeable attorney on your side can make a difference in the success or failure of your claim. Contact the Social Security Disability lawyers at Bemis, Roach and Reed today for a free consultation. Call 512-454-4000 and get help NOW.